Professor and Director Institute of Digestive Diseases, China-Canada Center of Research for Digestive Diseases(ccCRDD), LonghuaãHospital, Shanghai University of Chinese medicine,shanghai. 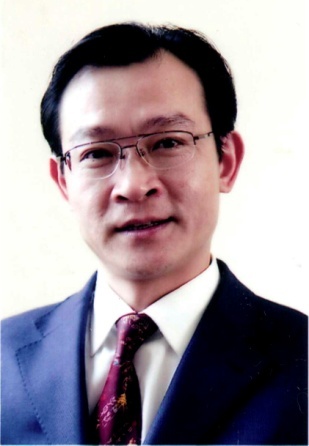 Dr Guang Ji has received his PhD in Shanghai University of Traditional Chinese Medicine during the period of 1994 to 1997. Currently, he is working both as a doctor and researcher in Shanghai University of Traditional Chinese Medicine. He has successfully completed his Administrative responsibilities as the Director of Institute of Digestive Disease. His research has included preventing and treating metabolic diseases (obesity, fatty liver, diabetes mellitus, etc), mechanisms of herb medicine. Based on this research and fellowship training he has received several awards and honors, such as: Member of National talent engineering, outstanding and contributive specialist in China, excellent academic leader of Shanghai, etc. He is serving as an editorial member of several reputed journals like Traditional Chinese Medicine , Journal of Gastroenterology & Hepatology, Journal of Integrative Medicine, World Journal of Hepatology, and expert Reviewers for journals like Evidence-Based Complementary and Alternative Medicine, Digestive Diseases and Sciences, African Journal of Biotechnology, Gastroenterology Insights, International Journal of Immunopathology and Pharmacology, Archives of Pharmacal Research. He has authored more than 100 research articles in the past decade. I have a broad research interest in the metabolism of lipids, fatty liver related metabolic disorder, both basically and clinically. I also indulge in applying Traditional Chinese Medicine to various liver diseases, and try to explore the potential mechanism. My research has yielded insights into the alcoholic liver disease, Nonalcoholic fatty liver disease and related metabolic syndrome. My research group has hosted 9 projects granted from the National Nature Science Foundation of China in the recent 5 years, and our experimental results have been published in various journals. I regularly present our discoveries at national and international conferences. Besides, I am an active teacher through mentoring postgraduate students in the laboratory and teaching undergraduate, postgraduate, and medical school students.